Holy Sit: Happy Anniversary to Me! No need to rehash the whole story here for you today. If you're receiving this, you know you can read all about my miraculous & often humorous healing journey here at holysit.com. Grateful in a "Holy Sit that was hard" way that the diagnosis caused me to go inward & get after anything else in my life that needed healing. As a result, I dug deeeeep, to heal decades of what I call 'highly functioning, yet often debilitating depression.' That sucked & thank GOD I'm on the other side of it! And, I'm beyond grateful to my friends, family and all of you, Holy Sitters, who have been amazing allies on my journey. Today, I'm doing exactly what my doctor said might happen. She said, "Emily, your mess will become your message!" She was so right! Now, I'm very clear on my life mission - to reduce suffering & increase joy. I particularly like my personal mission because it's scalable. I can do it with someone standing 3 feet from me or 3000 miles from me - thank you Internet. And, I get to do it by practicing & teaching mindfulness, inner peace and compassion. I also get to do it by simply sharing my story with others who might be suffering so that they: a) know they aren't alone, b) receive hope that they too can heal, and c) maybe find an on-ramp to a spiritual tradition or healing modality that helps them on their path. My mess has indeed become my message! There's no getting around it. We live in a very chaotic world at a seriously odd time. AND YET, we can still tap into more inner peace in the midst of the chaos. We can still give compassion to ourselves and others. We can still love each other up; and we can still laugh at the insanity of it all! We may not be able to control our external worlds, but we sure as heck can change our inner world to navigate it all with more peace, grace, hope and humor. That's what I'm trying my best to do. I hope in some way, I've touched your life sometime in the last many years that I've been sharing here. This is a big year for me. Now that I'm finally 5 years away from the cancer, and out of the major depression that brought me to my knees, I'm finally teaching more regularly. In fact, my next online course coming up next week is very appropriately titled, At Peace With Yourself. And finally, I have the energy and attitude to finish Holy Sit, the book. I wanted to write it from a healed place so that the words and energy of it would give others hope that they too can heal. I wasn't quite there internally yet. Today, I feel I am. That in itself is another miracle! I love you Holy Sitters! Thank you for being a witness to my life, and for sharing this journey with me. With hugs, gratitude, peace and compassion coming out of my every pore! P.S. If you'd like to learn more or join me for my October 12th online course, click here: At Peace With Yourself. Emily Hine teaches mindfulness, peace and compassion. 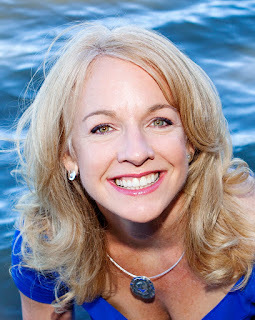 She is the CEO of HineSight Consulting, and the host of The Global Compassion Summit. She is a Certified Compassion Cultivation Training™ Teacher from the Center for Compassion and Altruism Research and Education, Stanford University. She is also an inspirational writer and public speaker. For more information, see About Emily Hine.